OBDII Breakout Box mainly used car OBD line signal judgment and signal transfer. OBD2 Protocol Detector can quickly determine car OBD signal receiving. 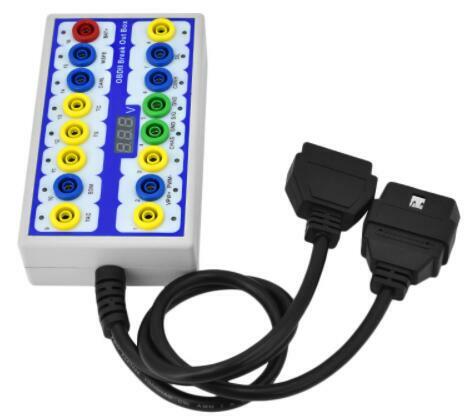 OBDii Break Out Can Tester Display testing voltage on the car or truck. To monitor data steam while performing test on vehicle using a Scantool. This makes it possible for you to both execute a test and simultaneously monitor the testing process.